Matsumae Castle was a flatland castle in Matsumae-cho Matsumae-gun, Hokkaido. 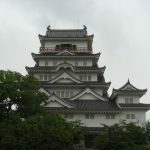 It is also known as Fukuyama Castle. 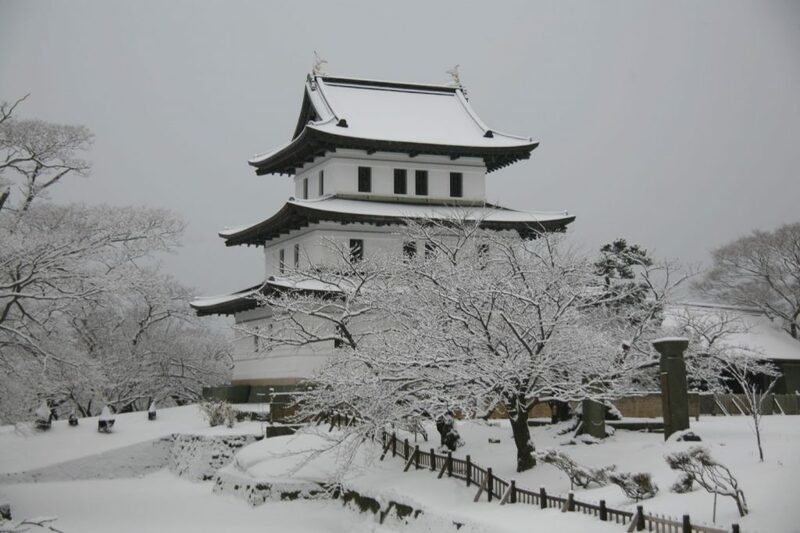 The Kakizaki clan, who had served for the Nambu clan, used to own Kakizakias Kawauchi-machi Mutsu-shi, Aomori and had a residencial castle called Kakizaki Castle. As Nobuzumi Kakizaki revolted against the Nambu clan, Masatsune Nambu sent a punitive force and Nobuzumi had no other choice other than fleeing to Matsumae. Some people say the ancestor of Nobuzumi Kakizaki was the Takeda clan (Genji) in Wakasa, family members before Nobuzumi had Takeda as their last name. After the exile, Nobuzumi steadily gained the power in Matsumae, and became Sengoku Daimyo (fuedal lord) who ruled the Southern Ezo during Sengoku era. 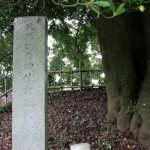 Other people say Nobuhiro Takeda moved to Kakizaki in Shimokita Peninsula and then to Matsumae in Ezo afterwards, and that Nobuhiro became an in-law of the Kakizaki clan while working for Sueshige Kakizaki against Ainu people. 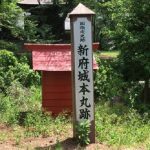 Although there is not enough information to prove which story is right, Nobuhiro Takeda (Kakizaki) moved to Shozan Palace when he was the head of the clan. 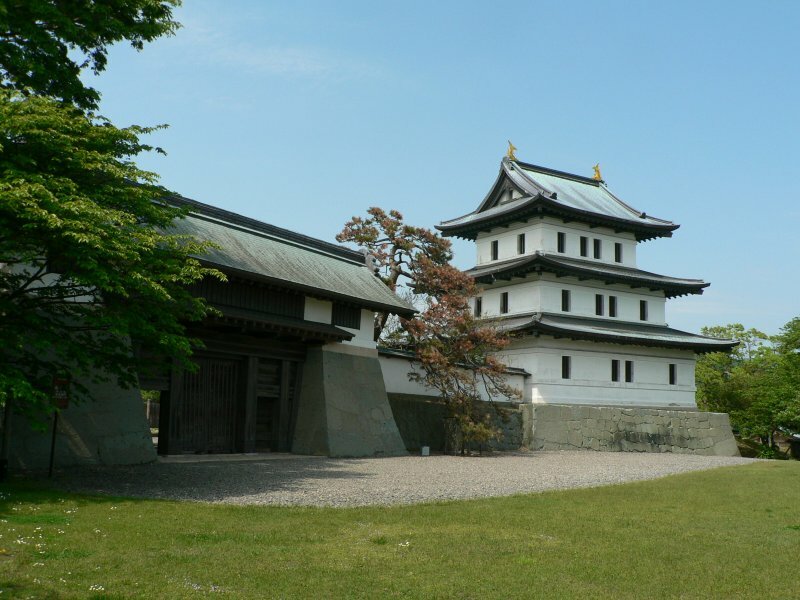 In 1514, Nobuhiro’s son, Mitsuhiro relocated to Tokuyama Palace in Matsumae and gained power. 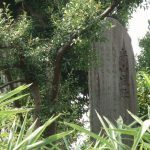 In late Sengoku era, Suehiro’s son, Yoshihiro Kakizaki went to Kyoto to meet with Hideyoshi Toyotomi. Acknowledged the land rulership by Hideyoshi, the Kakizaki clan became indipendent from the Akita clan (formally known as the Ando clan). In 1603, Ieyasu Tokugawa was appointed as Seii Taishogun (Commander-in-Chief of the Expeditionary Force against the Barbarians). With the support from Ieyasu, the Kakizaki clan prospered through Edo era and changed their family name to Matsumae. In late Edo era, feudal lord, Takahiro Matsumae was nominated as Roju (senior counsel) of Edo government. 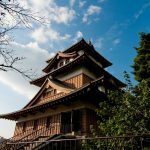 Matsumae Castle is one of the latest Japanese-style castles. 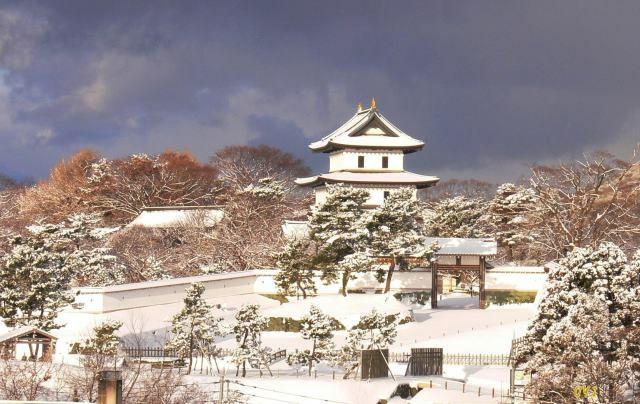 In 1849, the Edo government ordered Takahiro Matsumae to build Fukuyama Palace (Matsumae Castle) with the purpose of guarding the Northern territories from the Russians. 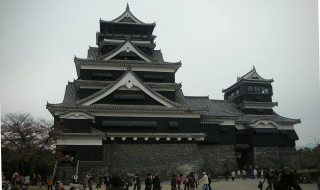 There was an another plan to build a castle on Hakodate Mountain which had advantages on defense, but never took place due to financial shortage and opposition from traders in Hakodate. Fukuyama Palace got a three-story castle tower when a Naganuma-style military scientist, Ichigaku Ichikawa went through reconstruction in 1854. Since then, this castle has been called Matsumae Castle. Ichigaku thought carefully about the design of the castle to maximize its potential even with limited space due to its location. There are artillery batteries facing the ocean and iron panels in the walls to withstand with the naval gunfire. 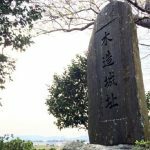 In the fall of 1868, the former government force led by Takeaki Enomoto took over Goryokaku with their intention of declaring independence of Ezo. 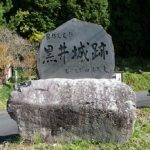 On November 5th, Toshizo Hijikata, a former member of Shinsen-gumi attacked Matsumae Castle with 700 soldiers in his troop. 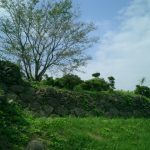 Matsumae Castle fell within a few hours despite of effort by fuedal soldiers. 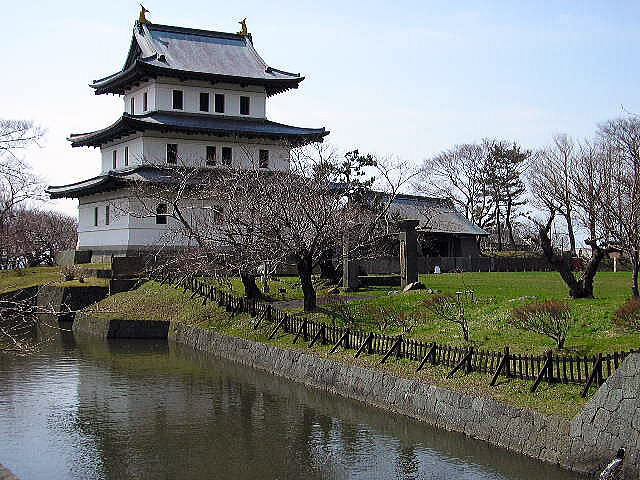 In the next year, however, the former government force surrendered and Matsumae clan won back Matsumae Castle. 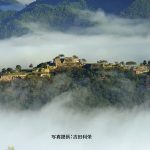 They ruled the castle until it was owned by Meiji government as Haihan-chiken (abolition of feudal domains and establishment of prefectures) was enforced. 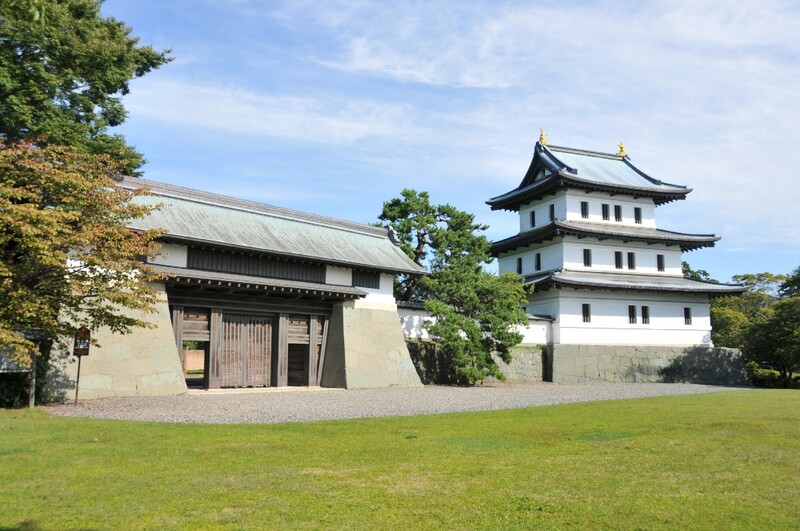 While the castle tower was burned down by fire during World War II, Honmaru Gomon (gate) remains to this day and it is nominated as Important Cultural Property. 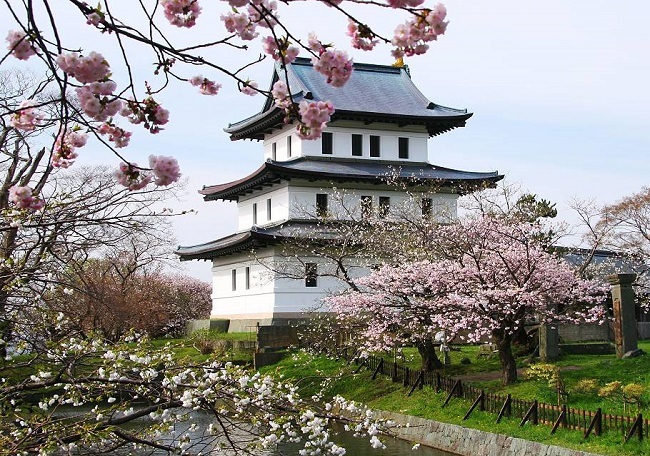 Matsumae Castle is restored as Matsumae Park, and it ranks in the third of top 100 castles in Japan.